Skoda Rapid sedan is amongst the best looking sedan in the sedan segment today. It is installed with Bluetooth connectivity that does its job pretty well. 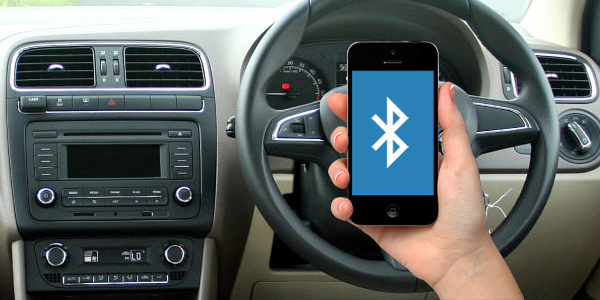 This Bluetooth interface allows you to connect your Smartphone with the car via Bluetooth. Also, the Bluetooth interface makes the audio streaming easy and permits you to pick calls during the ride without having to reach the phone. The 2-Din music system is accompanied by iPod, iPhone, USB and Aux-in support as well. The audio and call controls mounted on the power steering wheel is exciting. The cruise controls are also present for better handling. The comfort features here are exquisite and put a smile on your face. The lavish cabin is elegant and comes with competent air conditioning system with heater, huge glove compartment etc. The power windows have auto down function at the driver’s side. The dual tone beige theme is engaging. 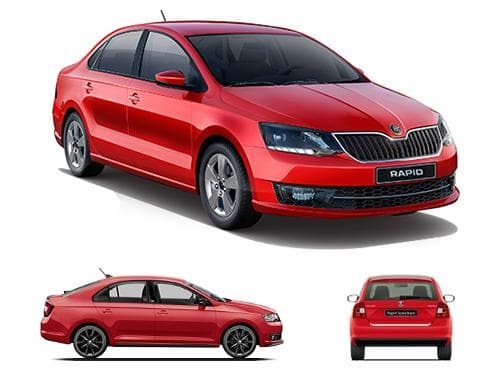 The variants of Skoda Rapid that offer bluetooth connectivity as standard include 1.5 TDI AT Edition X, 1.5 TDI CR Ambition, 1.5 TDI CR Ambition AT, 1.5 TDI CR Style, 1.5 TDI CR Style AT, 1.5 TDI MT Edition X, 1.6 MPI AT Edition X, 1.6 MPI Ambition, 1.6 MPI Ambition AT, 1.6 MPI MT Edition X, 1.6 MPI Style, 1.6 MPI Style AT, Monte Carlo Edition AT Diesel, Monte Carlo Edition AT Petrol, Monte Carlo Edition MT Diesel, Monte Carlo Edition MT Petrol, Onyx AT Diesel, Onyx AT Petrol, Onyx MT Diesel, Onyx MT Petrol. The variants of Skoda Rapid that do not offer bluetooth connectivity as standard include 1.5 TDI CR Active, 1.6 MPI Active.